Going home for the summer and want to store your possessions safely? Need to store some extra bits and pieces whilst you travel? Serving the whole of the southern end of the Gold Coast including Burleigh, Robina & Varsity Lakes. 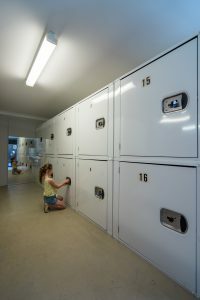 Lockers from $40 per month. 4 km from Bond University. Small units available for furniture from contents of one/two bedroom units. Need help getting your goods here? Ask us for referrals of Men and a Ute or self drive small truck companies.